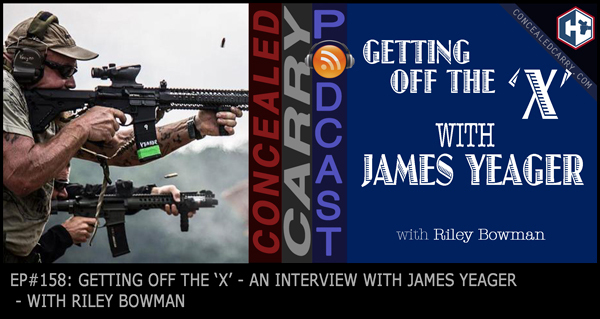 James Yeager is one of the most interesting and controversial guys in the firearms community. Most people recognize him from the many Youtube videos he has produced over the last 10+ years as he has had over 100 million views. He is very much a “you either love him or hate him” sort of fellow. But what some people may not realize is that he has also operated Tactical Response, a full-service firearms training company for over 20 years and during that time has taught more than 60,000 students. However, even some of his training philosophies and tactics has irked people at times. Riley sits down and interviews him today to learn more about the man and to dive deep on what he believes as an instructor and what he focuses on teaching his students so that they can win fights over bad guys. Plenty in this episode today to learn from. Press ‘PLAY' above to listen now!